The Professional Services Team contributes to our mission of Mercy through providing support in key areas, without which the Institute would not be able to function and make a positive difference in the lives of others. 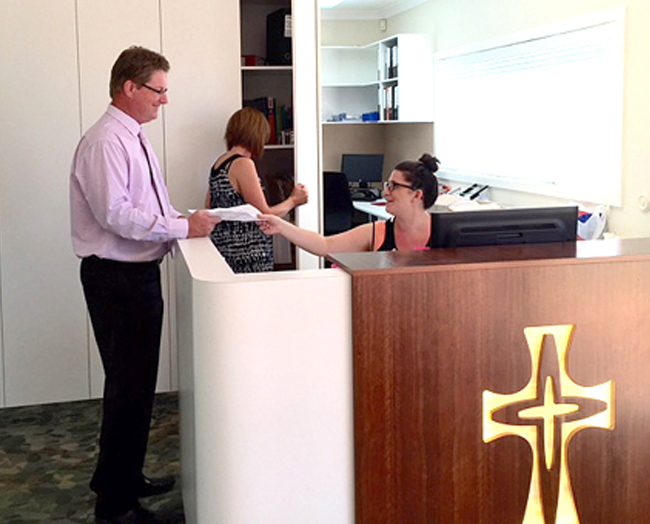 The Professional Services Team assists us in ensuring that we continue good stewardship of our resources, as well as enabling us to meet the operational and technical needs of modern day ministry centres and workplaces. The senior members of the Professional Services Team are: David Penny (Executive Leader), Travis Wheelan (Information Technology), Frank Tierney (Property), Nikki Patten and Eileen Ann Daffy rsm (Legal), Natalie Anderson (Human Resources), Darren Schutz (Finance), Catherine Smith (Operations Manager).